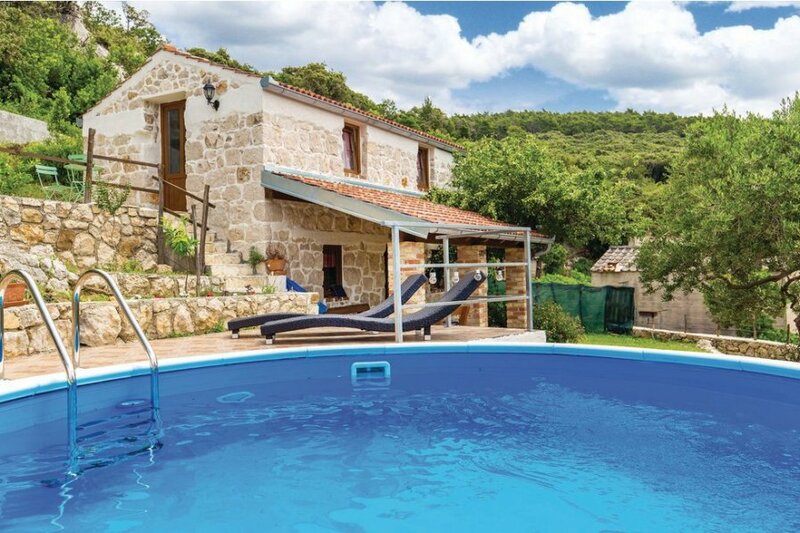 This beautiful stone house is located on a wonderful, quiet property surrounded by olive trees. 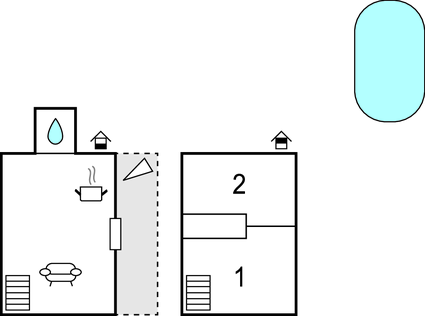 There is a kitchen with a dining room and a bathroom on the lower part of the house. This beautiful stone house is located on a wonderful, quiet property surrounded by olive trees. There is a kitchen with a dining room and a bathroom on the lower part of the house. There are two bedrooms on the top floor. You can relax on the sundeck located in front of the house and refresh in the swimming pool. A beautiful beach is located in the town nearby called Supetarska Draga. We recommend a visit to Lopar, which has one of the most beautiful sandy beaches. Enjoy the evenings by taking a stroll in the city of Rab and taste the local specialities in one of the numerous seafood restaurants. Do not miss Rab Fjera, a three-day event of traditional customs with numerous events and concerts that take place in Rab, at the end of July. Also a boat trip to the island is highly recommended. This beautiful villa is made from brick or stone and was originally built in 1960 and refurbished in 2012. The agent has rated it as a four star property so it is a well-equipped villa with above average furnishings. It is also great value for money. This villa has a swimming pool and is located in Supetarska Draga, only 6km from Rab. It is set in a convenient location, 1.5km away from a rock bound coast and 2.5km from a sandy beach. There's also a restaurant 2km away. The villa has free wireless internet. You can also park on-site at no extra charge. The villa is adequately equipped: it has a refrigerator. It also has a barbecue, exercise equipment and some garden furniture outside.